Definitely don’t watch this Anime after a meal, unless you have the stomach for it. I can’t really figure out why I was able to watch this show through-and-through, as I was seriously considering putting it down regularly while I was watching it. When I wasn’t being grossed by the gore factor, I was being bored by the slice-of-life parts of it. 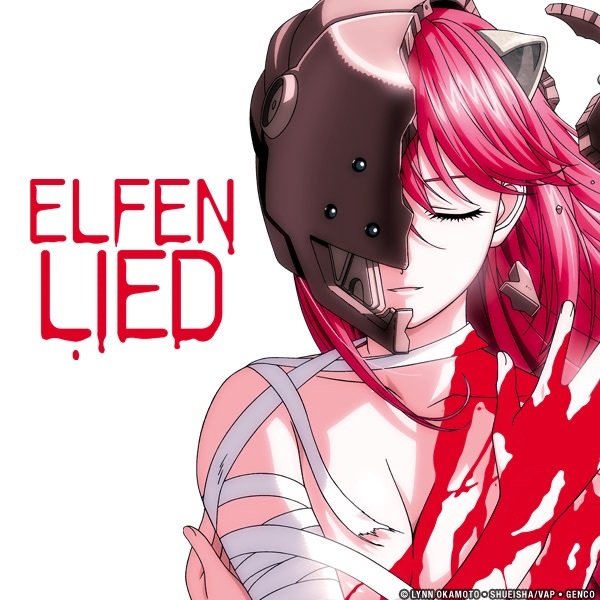 “Elfen Lied” is basically German for “Elven Elegy” — so, another one of those Anime shows whose title makes no real sense with respect to its plot. The “Diclonius” of the show are not really “elves,” in any of the senses one might presently apply to this word. What do I know, though…. At least Lucy’s alter-ego was pretty cute. Once again, I have a feeling I divert from the majority on what made Spice and Wolf worth watching. I have no interest in Holo, to be honest; for a “wise wolf,” she is rather…unwise. She’s very beautiful, but that’s about all she is. Lawrence, on the other hand…: He’s a merchant, and for me it was his knowledge of mercantilism and economics, as well as some street smarts (not that it helped him later on in Season 1), that provided the primary reason I enjoyed watching this Anime. Then, he had to go and be cockier than Holo for a time and so pay the consequences for it. I sorta lost a lot of interest in the show beyond the point he got thrown in jail. Oh well! 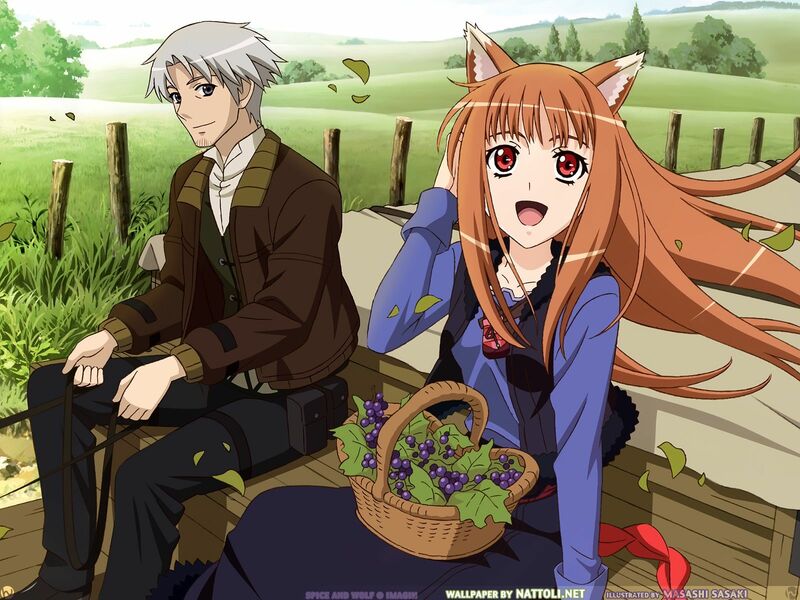 Not so for most other people who watched it, apparently; Spice and Wolf has at least a complete Season 2 out, and there might even be a Season 3 floating around out there somewhere. WHAT’S THE FOX *ACTUALLY* SAY…?! It’s exceedingly rare for me to take great interest in Slice-of-Life Anime, but Flying Witch happened to be an exception. Makoto is the witch-in-training, who moves into the house of a long-time friend while she attends a local school for witches. In the meantime, her friend’s sister is introduced to this whole new world that, until that point, she had never known truly existed. Makoto’s own sister is already a master witch, and spends her time travelling abroad experiencing everything the Earth has to offer — usually getting drunk at most stops she makes. As such, she drops by to visit Makoto a couple times during the course of the series and interesting things tend to happen both times she does arrive. Highlights include: The giant, flying, stone whale; Makoto’s Mandrake moment; the “What’s the Fox Say?” scene at a nearby witches’ restaurant, which is snapshot in the image above. 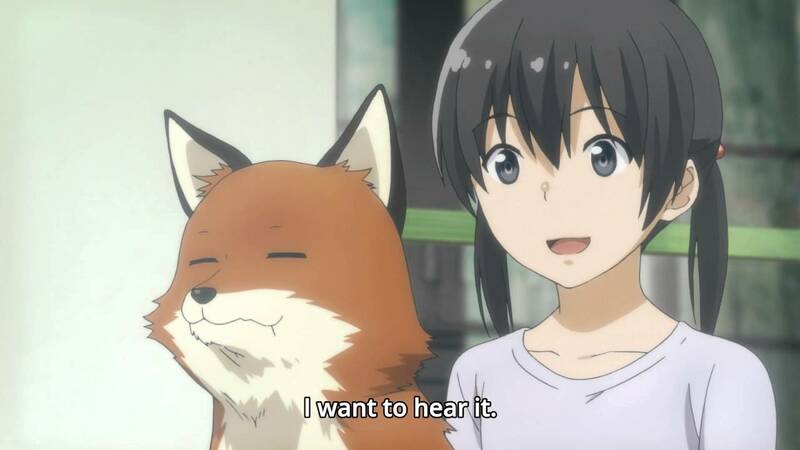 Overall, Flying Witch is a pretty neat show — coming from someone who isn’t really fond of Slice-of-Life! The OP song for the series is also kind-a catchy….